Under a new rule proposed by the U.S. Department of Labor, small employers who do not currently offer retirement plans to their employers could join forces with an Association Retirement Plan or professional employer organization that offers pension benefits to all employer participants. Currently, approximately 38 million private-sector employees do not have access to an employer-sponsored retirement plan. The rule could reduce that number. It would expand the opportunity for small employers and self-employed working owners to band together in plans that offer advantages currently enjoyed by a large employer that sponsors a single pension plan, including economies of scale, lower investment fees, professional management and centralized responsibility for reporting to government agencies and making disclosures to plan participants. The proposed rule, which is subject to public comment until December 24, aims to clarify the definition of “employer” under ERISA, the federal statute that regulates group pension and health plans. Multiple employer plans or MEPs currently are offered by associations but the new rule is designed to expand the type of associations that may sponsor them. In the past, trade associations have offered the employees of employer members access to the association’s plan. Now, the DOL wants to enlarge the type of associations to include “bona fide” associations based on an industry group or employers in the same state or metropolitan area. Under the new rule, such an association would have to have a formal organization, controlled by its members, and at least one substantial common business purpose unrelated to providing access to pension benefits to its employer members. Most significant, a small business composed of a working owner would be eligible to join an association sponsoring a MEP. The owner would have to work at least 20 hours per week or earn wages or self-employment income that at least equals the cost of coverage of the association’s pension plan. Tax code provisions that limit plan contributions based on a participant’s compensation or self-employment income would still apply. The proposed DOL rule also focuses on the ERISA definition of “employer” that includes an entity acting “in the interest of” other employers. The rule would confirm that a professional employer organization or PEO would be able to offer participation in a single pension plan to its employer clients. A PEO customarily acts as a joint employer to offer HR functions to client employers that contract with it. Such HR functions include payroll, tax withholding and reporting functions for a client’s employees. The new rule would allow bona fide PEOs to sponsor an MEP for the benefit of its employer clients. The new rule would only go so far. It would only allow MEPs sponsored by associations or PEOs that exist for other business purposes. Advocates of expanding pension plan opportunities to small businesses also want to see new authority for “open” MEPs or “pooled employer plans” that only would exist to offer pension benefits to employers who participate. That expansion will require Congressional action. 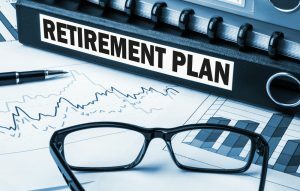 Nevertheless, the DOL proposed rule shows that access to pension plan participation is likely to expand in the coming years. Theodore P. Stein is an attorney based in Bethesda with more than 30 years of experience who counsels employers, their plans and plan trustees on how to comply with ERISA and the ACA and employment law and how to minimize the risk of ERISA and employment law claims. He also represents them when litigation is threatened or filed. He is the Chair of the ERISA/Employee Benefits Practice and a Principal in the firm’s Labor and Employment Practice Group. Offit Kurman is one of the fastest-growing, full-service law firms in the Mid-Atlantic region. With over 180 attorneys offering a comprehensive range of services in virtually every legal category, the firm is well positioned to meet the needs of dynamic businesses and the people who own and operate them. Our twelve offices serve individual and corporate clients in the Virginia, Washington, DC, Maryland, Delaware, Pennsylvania, New Jersey, and New York City regions. At Offit Kurman, we are our clients’ most trusted legal advisors, professionals who help maximize and protect business value and personal wealth. In every interaction, we consistently maintain our clients’ confidence by remaining focused on furthering their objectives and achieving their goals in an efficient manner. Trust, knowledge, confidence—in a partner, that’s perfect.